Welcome to the Enclave Condominium Community located near Rosemont Country Club in Montrose. 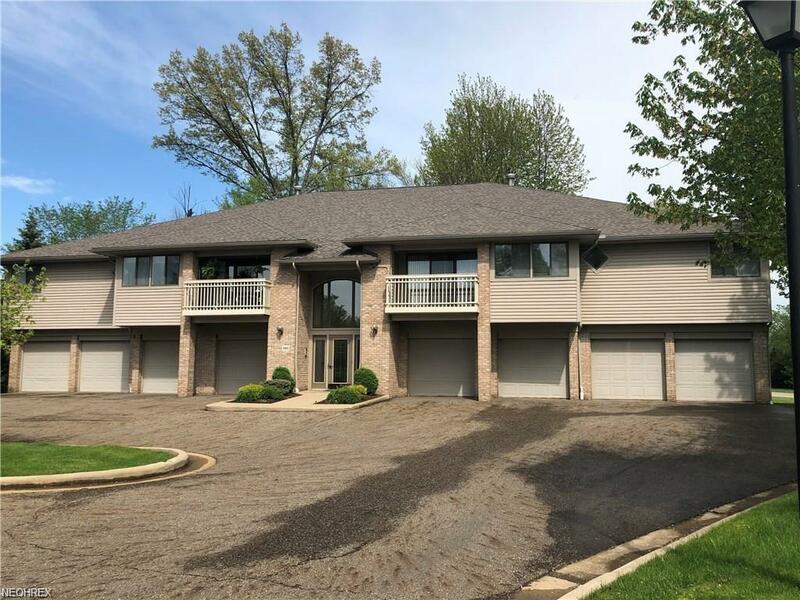 This condo is located on the second floor and is move in ready. 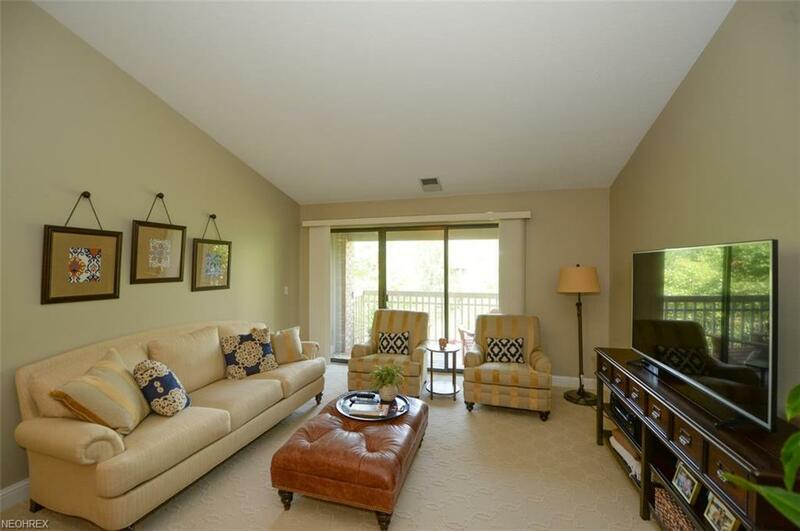 The large combo living and dining room has vaulted ceilings, a sliding door with private balcony and view of the pond. The eat in kitchen features stainless steel appliances including a side-by-side refrigerator, smooth top electric stove, dishwasher and over the range microwave. It also has updated painted cabinets, ceramic tile flooring, and a door leading out onto the balcony. The light filled master bedroom offers a large walk in closet and a full master bathroom. The bathroom features an updated double sink vanity with an abundance of storage. The second bedroom is nicely sized and offers a full closet. There is also a 2nd full bathroom which features a bathtub, updated vanity, and ceramic tile flooring. The laundry/utility room with washer and dryer is located off of the main hall. There is a one car garage with opener and a lockable storage unit. 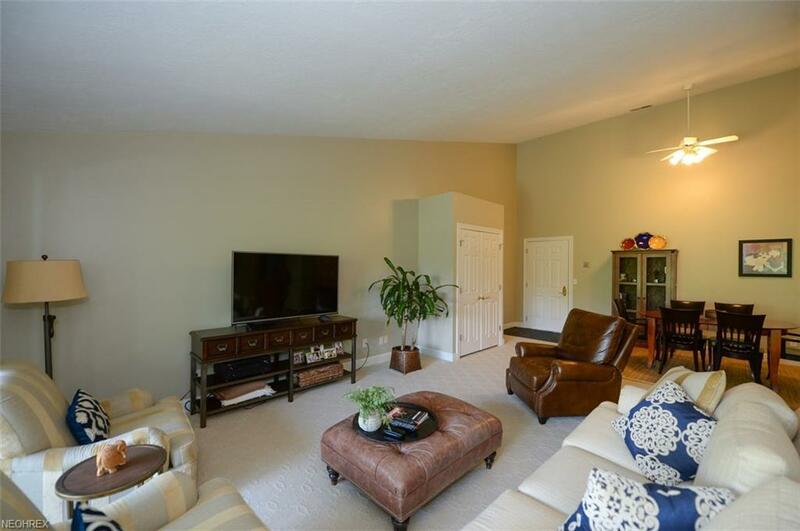 This condo has been painted neutral colors, updated throughout and is move in ready! The furniture is also for sale separate from the sale of the condominium.